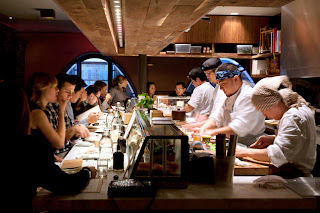 Blogger Michael of Foodie Finders NYC shares with us his experience at Top Chef Season 1 champ Harold Dieterle's second restaurant, Kin Shop. 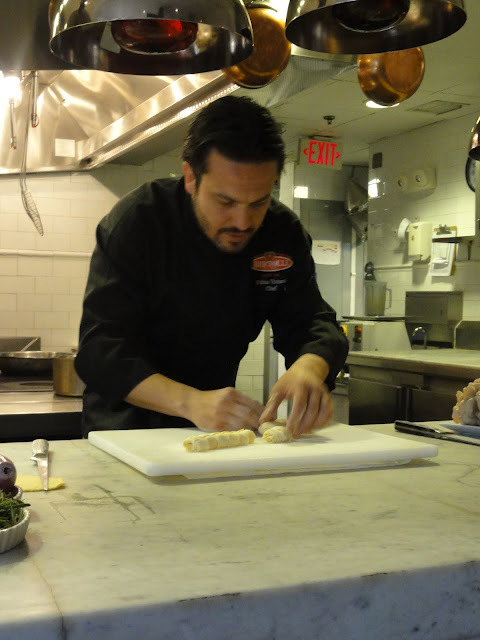 Find more of Michael's musings on his blog and on the Foodie Finders page on Facebook. Chef Harold Deiterle really knows how to make amazing Thai food. At Kin Shop the food is full of bold flavors and some dishes has heat that can truly pack a punch. My favorite appetizer was the Spicy Duck Laab Salad. On the menu it shows how hot the dishes are and this dish was the spiciest. To me, the spice in this dish was not overwhelming at all. The initial bite had a lot of heat but rather than the heat lingering, the heat almost completely disappeared in less than a minute. To me this is the perfect amount of heat to a dish. My next favorite appetizer was the Garam Masala & Tomato Soup. This soup was a very close second to the Spicy Duck Laab Salad. The taste was very bold and unique. Another dish that was delicious was the Fried Pork & Crispy Oyster Salad. It had peanuts, celery and a mint and chili-lime vinaigrette. I liked all the flavors as well as the texture the oyster and pork gave to the dish. For the entrees my favorite dish was the Stir Fried Wide Wonton Noodles. There was also chicken sausage inside which was delicious. All the flavors worked really well together. Another dish that I liked a lot was the Fresh Egg Noodle & Maitake Mushroom Broth. I loved the poached duck egg on top with the noodles and mushrooms. I also tremendously enjoyed the Crispy Roti (Roti - South Asian unleavened bread). It came with three different condiments which were a Chili Jam, Coriander Nam Prik, and Plum Chutney. Moving on to desserts, the menu was very small but very delicious. Kin Shop only serves ice cream, sorbet, and a root beer float. The root beer float was incredible. It had Galangal Ice Cream, which is similar to ginger. On the side there are ginger snap cookies. These ginger snap cookies were unbelievably amazing. Besides the root beer float I also tried Thai Coffee-Chocolate Ice Cream, Calamansi Sorbet, and Lychee sorbet. They were all good and my favorite out of the three would be the Calamansi Sorbet which is a citrus fruit that taste like a cross between a lime and an orange. Overall Kin Shop was very good and is definitely a place I plan on returning to. Click here for the full article from Bon Appetit. Just Announced - Top Chef Masters Season Four! Bravo’s “Top Chef Masters” season four is smokin’ in Las Vegas with 12 new award-winning chefs hungry to compete for the title and win $100,000 for their charity, premiering Wednesday, July 25 at 10 p.m. ET/PT. In each episode the winners of every quickfire challenge will be awarded $5,000 while the victors of the elimination challenges will receive $10,000 for their designated charities. Celebrity chef Curtis Stone is back as series host alongside returning judges James Oseland and Ruth Reichl with new judges, food and travel journalist Krista Simmons and features editor of Gilt Taste, Francis Lam. In a dazzling season of high stakes, big egos and sizzling drama, top names in entertainment join the judges table including Boxing legend Sugar Ray Leonard, folk rock music duo Indigo Girls, famed Burlesque performer Dita Von Teese, popular American party band The B-52’s, Olympic Gold Medalist Brian Boitano, Las Vegas performer Holly Madison, among others. 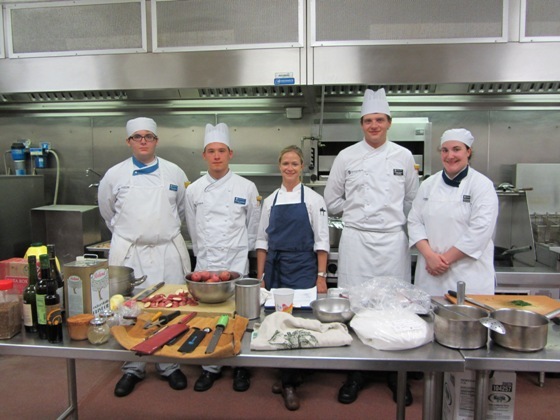 This season's competitors have some repeats among them in the form of Thierry Rautureau, Art Smith, and Debbie Gold. What's up with Padma, and why has she shaved her daughter's head and dressed her up like Michael Jackson? The excitement is building in Atlanta, where Top Chef All-Star champ Richard Blais is opening yet another restaurant on May 26th. Unlike the fast casual concept of his last restaurant, Flip Burger, The Spence is more of an American-style brasserie. We wished we lived in Atlanta, and if you do and plan on eating at The Spence in the near future, we'd love to hear about your experience! 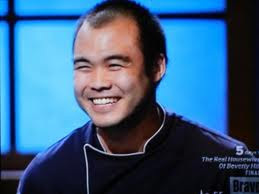 So what's Paul Qui going to do with all that money he won on Top Chef? On May 10, Top Chef Texas finalist and Spiaggia executive chef Sarah Grueneberg cooked with her mentor, Chef Chris Shepherd of Houston's Underbelly, for the first time in almost a decade. The duo paired up at an event promoting the Houston culinary scene and competed against one another in Top Chef-inspired quickfire challenges for the guests. This video was shown prior to the challenge to tell the backstory leading up to this remarkable evening of culinary wit and prowess. Have you discovered food blog The New Potato yet? It’s offering up well-written and thoughtful interviews with a number of people in the food world you are likely to recognize. 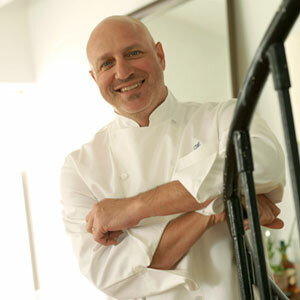 Click here to check out TNP’s great new interview with Tom Colicchio to find out which Top Chef’s recipe inspired Tom to make his own version of it, which Top Chef’s career he’s following, what the Bald One really thinks about “celebrity" chefs and food TV, plus lots of tips on cooking and for cooks who want to be chefs. Oh, and what Colicchio thinks about new potatoes. Hot on the heels of Paul Qui’s James Beard Award win, Eater Austin reports that Paul will indeed be opening his own restaurant, and that his food truck, East Side King, is going brick-and-mortar. According to his Twitter feed, after the Beards, Paul and his girlfriend headed to Paris, London, and ? Congrats, Paul, and hope you finally got your check for winning Top Chef! Top Chef Kevin Gillespie's Cookbook! 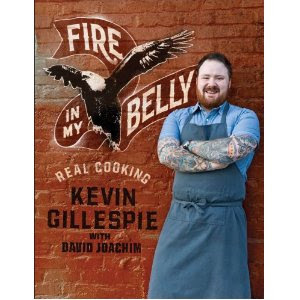 Kevin Gillespie's first cookbook, titled Fire in My Belly: Real Cooking, is finally available for pre-order on Amazon, although it's not scheduled to be released until October. We couldn't be happier for the red-bearded one. And if we score an advance copy and can give you a preview, you know we'll be happy to share. 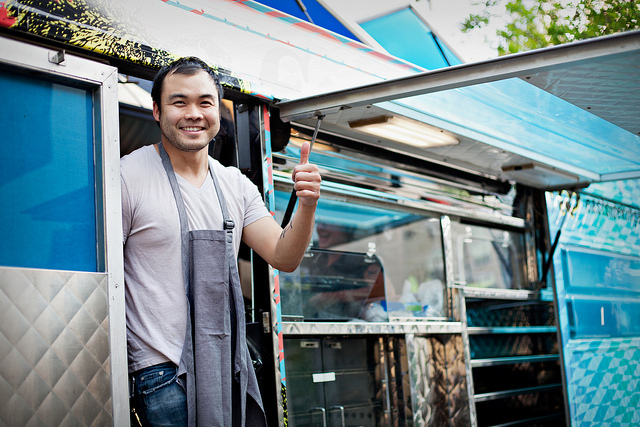 Congrats to James Beard Award Winners Paul Qui and Hugh Acheson! Top Chef Season 9 winner Paul Qui adds another notch to his award-winning belt after being named Best Chef, Southwest by the James Beard Foundation for his work at Uchiko in Austin, TX! Here’s a quick interview with Paul after his win from the Daily Meal. Meanwhile, Top Chef Judge and TC Masters contestant Hugh Acheson won Beards in two categories. Last Friday he took top honors at the James Beard Foundation Media Awards for Best Cookbook, American for "A New Turn in the South: Southern Flavors Reinvented for Your Kitchen.” And, in a Beard Award rarity, the HughniBrow tied for Best Chef, Southeast for his restaurant Five and Ten in Athens, GA, with Linton Hopkins of Restaurant Eugene, in Atlanta. AJC has a hometown proud post here. Here's a list of all the other fine Beard Award winners in the Best Chef and Restaurant categories.Congratulations to all the nominees and the teams that help make their culinary magic happen! Calling all Top Chef fans! Have you dined in a restaurant manned by a Top Cheftestant from any of the three shows? Have you tried cooking any Top Chef recipes at home, either from the show itself or from a cookbook written by one of the cheftestants? If the answer to either question is "yes," we'd like to know! If you're willing to write about your experience - with photos - we'd love to feature your post here on All Top Chef! If you're a blogger, it would give your blog some extra exposure, and if not, it might just be fun to share. 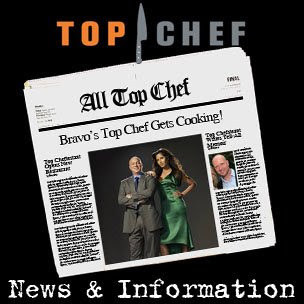 If you'd like to participate, please drop us a line at alltopchef@gmail.com and let us know! 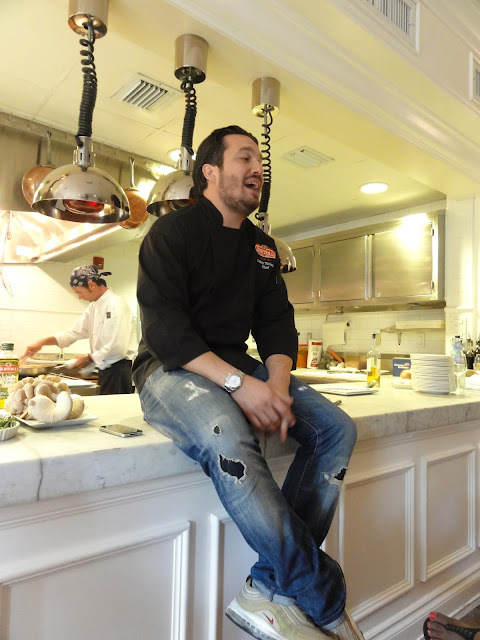 Friend of AllTopChef La Diva Cucina – a Miami blogger, private chef and “culinary entertainer” who serves up food, mixology, and fun at her “small bites, BIG DRINKS” classes – scored an invite to a private demo by Fabio Viviani sponsored by Bertolli at Casa Tua recently. Of course, she sidled up to the Top Chef Season 5 Fan Favorite and All-Stars contestant. Then she grabbed a seat front and center to watch Fabio demonstrate how to make homemade pasta plus filet mignon with oyster mushrooms, rosemary and a balsamic vinegar reduction! Want to learn Fabio’s tips for making easy fresh fettuccini? What about Fabio's secret for roasting oyster mushrooms? Click on over to La Diva’s place for the inside scoop, as only she can tell it. Plus recipes for both fabulous dishes! Photos in this post by La Diva Cucina, used with permission. Thanks, Diva! 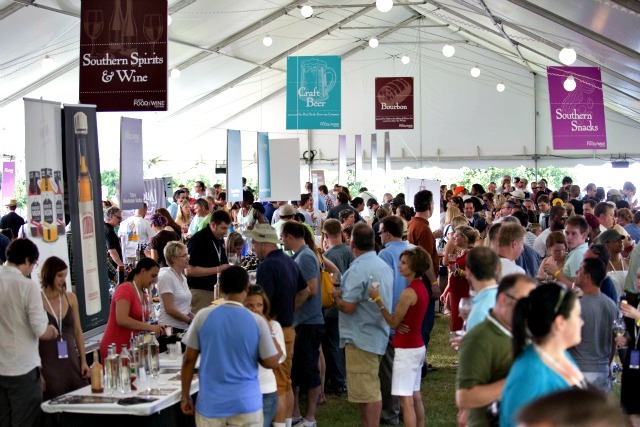 Atlanta's Food and Wine Festival will be May 10 - 13th. Click here for more information from Forbes.com. 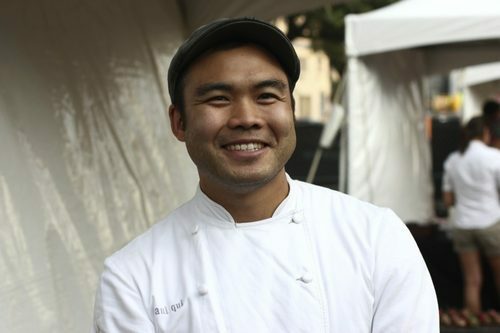 Top Chef Texas winner Paul Qui was among the chefs featured at the Austin Food and Wine Fest. Click here for a review of the event from Eater Austin. Top Chef Texas contestant, Lindsay Autry visited her alma mater, Johnson & Wales, to demonstrate cooking techniques and to advise culinary students.